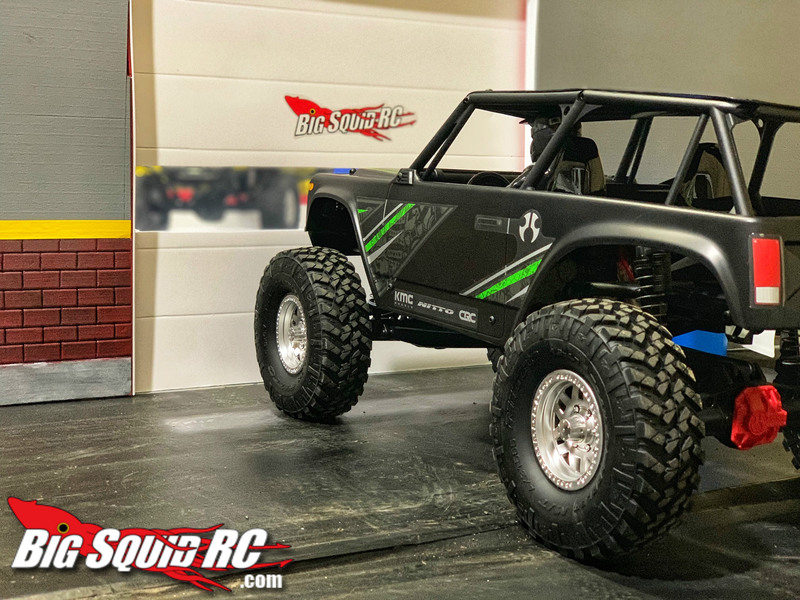 EVERYBODY’S SCALIN’ – SHOP TALK « Big Squid RC – RC Car and Truck News, Reviews, Videos, and More! What’s going on everyone, thanks for checking out this weeks Everybody’s Scalin’. So there seems to be some mixed feelings on the new Axial Racing release. One side is excited for a new SCX10 II and the other side, not so much. I get it, we all have or favorite brands, categories, styles, so on and so on. But lately it seems no matter what comes out there is always one side that wants nothing to do with it. For example, the Axial Yeti Jr. Can-Am Maverick. This was the first Axial Racing release since Horizon stepped in. So, people where a little shocked when they saw the Yeti Jr. and not some new scx10 II. I was definitely one of those people that were taken back. But then I looked deeper into the new Yeti Jr. and really liked what I saw from a scale standpoint. I think some people now a days literally take a 3 second look at a new rig and determine its fate right then and there without ever giving it the time of day or even a potty break read. Fast forward to Thursday morning and the release of the Axial Racing SCX10 II UMG10 Rock Crawler kit. And boom, the Red Sea is parted once again. One side saying they love it and the other nitpicking it to death when we have only seen some pictures and the little running video that Axial put out. My thoughts on the new SCX10 II UMG10 is that Axial is taking their time on their products and paying attention to the fans. People wanted a Wraith 1.9, you got it. People wanted a Uniomg, you got it. Axial Racing is making all the moves in my opinion. I really don’t see the need to get all upset when a new rig comes out and there are a few things you may not like about it. Or the company didn’t release a rig to your exact specs. Try being an old Mopar fan, we never get the rigs we wish for lol. One day maybe there will be a rig that will please everyone but I’m not holding my breath. Companies do there best to make us happy and I personally think they do the best they can. Constructive criticism is the way to go if you want your voice to be heard. Not slamming or being a keyboard warrior. With that being said my time is up for this weeks Everybody’s Complaining I mean Scalin’ lol. Have a great weekend on the trails and keep Scalin’, later!